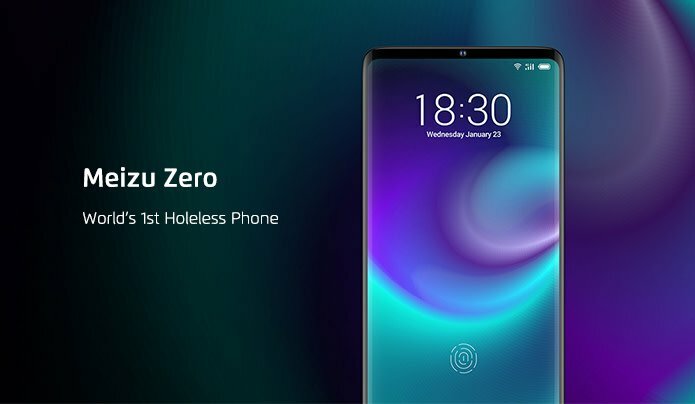 Chinese consumer electronics company Meizu has listed an Indiegogo campaign to fund its latest innovation, a “holeless” phone. While the future of electronics shouts for a “dongle-life”, Meizu wants to push the boundaries to its extent by completely removing all the ports and holes from its new phone. Yes, it’s not only omitting the world’s most beloved headphone jack, but also the charging port and some physical buttons. After all, the phone will not be monikered “Zero” for no reason. The campaign is now live on Indiegogo in the US, with asking pledge of a whopping $1299 for the Exclusive Engineer Unit. The Exclusive Pioneering Unit which costs $2999 is now sold out (with only 1 backer). Either way, you get a Meizu Zero whichever choice you pick. As a side note, the one who paid for the Exclusive Pioneering Unit will get his early hands-on with the Meizu Zero this January as part of his privileges. That means, he will be getting his device even the campaign will not come up successful. For the people who signed up for the Exclusive Engineering Unit, their handsets will ship later this April. To those wondering what is an Indiegogo and crowdfunding in general. Well, it is a platform where anyone could list a campaign to collect money from people who is willing greenlit independent projects for something in exchange. In this case, campaign participants will get an engineering sample of the port-less Meizu Zero should they choose to pledge. Meizu, as per checking, needs at least $100,000 to go ahead with the project. That means the company needs at least 80 backers to realize the “Zero”. As the time of writing, the company is able to raise $18,587 (18% of the fixed goal) with 30 days more to spare. We don’t understand the benefit of such holeless design other than waterproofing. And to be fair, Samsung and other companies were able to waterproof their phones without removing any holes. Now coming to the specs, the Meizu Zero has Snapdragon 845 with only 4GB of RAM which is so basic. Considering Meizu is charging a luxury for this phone, we expect to see at least 6GB for relatively better performance. The display is, thankfully, a large 5.99-inch Full HD+ Super AMOLED. For the imaging, the Meizu Zero has a dual rear-facing camera. One is a 12-megapixel, with a 20-megapixel secondary camera. On the front is a 20-megapixel camera for the selfie. Furthermore, because the phone has no ports, it relies on an 18W wireless charger for topping-up the battery. Also, replacing the physical buttons is a pressure-sensitive button, and eSIM solution to replace the SIM slot. That’s pretty much it.